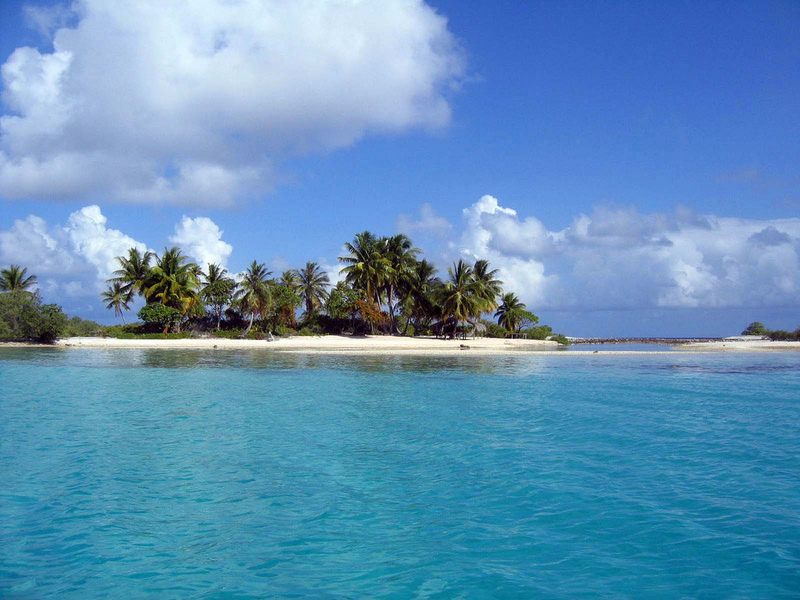 If you’ve dreamed of being stranded on a deserted island with all of the modern conveniences, tiny Manihi could be the place for you. 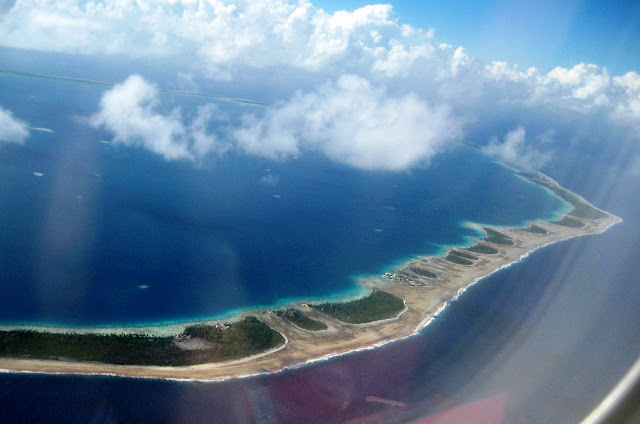 Manihi is an atoll 312 miles northeast of Tahiti, in the Taumotu rchipelago. 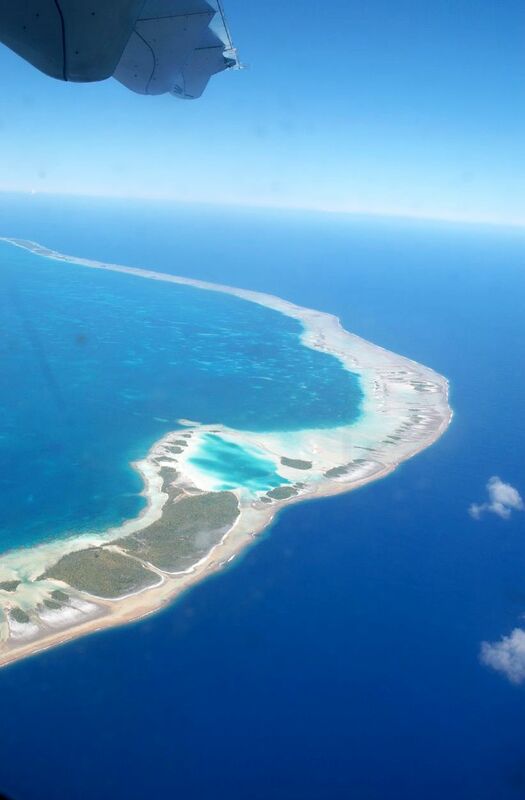 Its clear lagoon,wich is 3 ½ miles wide by 19miles long, has a deep naviglabe pass through the reef. Its magnificent clear lagoon has a deep navigable pass through the reef, and shelters several black pearl farms. 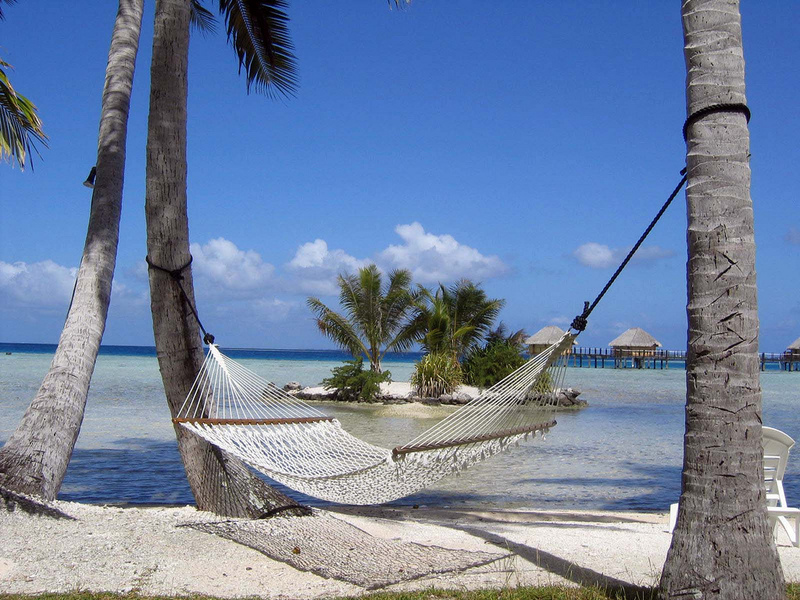 The atoll is known for its abundance of palm trees, white sandy beaches, extraordinary scuba diving, snorkeling, and spear fishing. 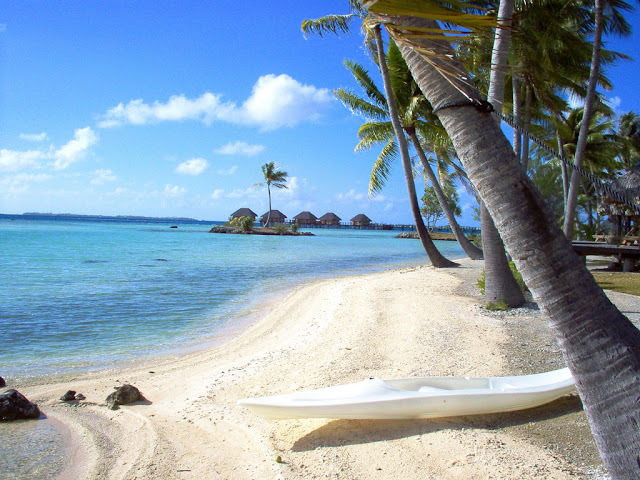 Far from the modern world, the crystal-clear lagoon was once filled with mother-of-pearl and is the site of Tahiti's first black pearl farm. 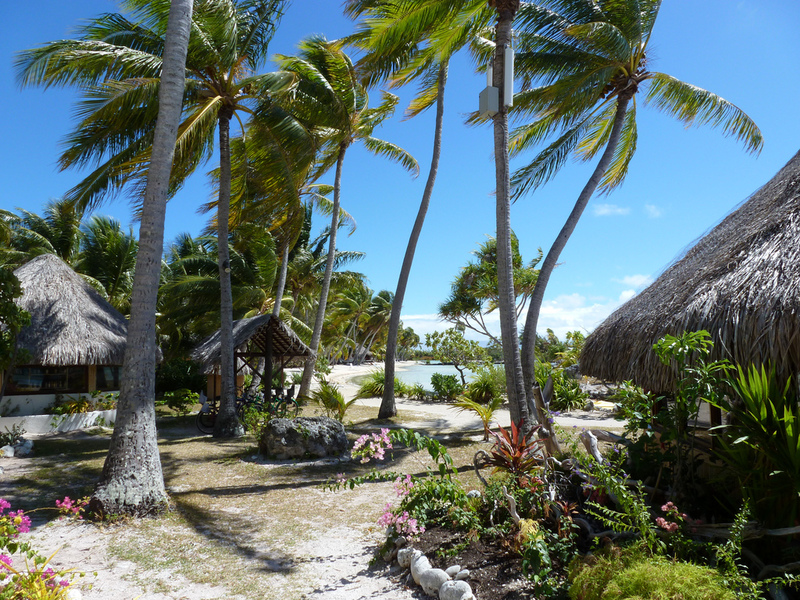 This is "farm country" South Pacific style. Instead of crops, over 60 farms here produce the world's most sought after gem: pearls. Manihi's lagoon waters are among the most perfect on earth for cultivating pearls because of the temperature, density, salinity, light, and overall climate. Today, Manihi is still the leading supplier for the Tahitian cultured pearl industry. As the Tuamotus are sparsely populated, social life on the atolls revolves around your hotel, where you’ll enjoy the companionship of fellow adventurers from around the world. Most of the 800 population live in Turipaoa village beside the pass. The lagoon is a springboard for a number of excursions which perfectly capture everything that Polynesia’s underwater flora and fauna have to offer. You can also choose between hotel categories from the most luxurious built out over the water or the more simple family pension accommodation. 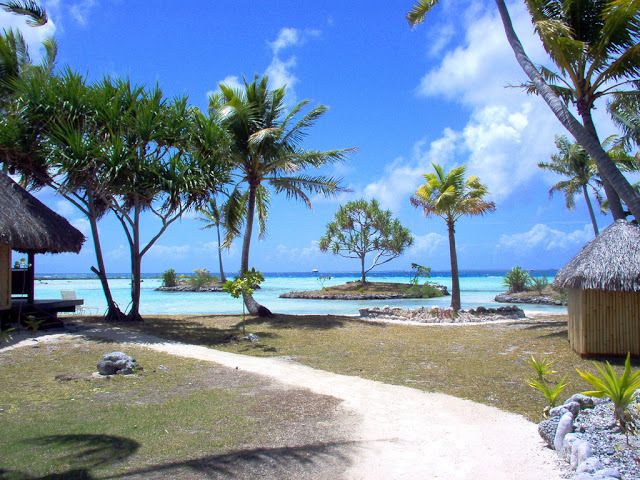 The only primary resort is the Manihi Pearl Beach Resort located on the main motu between the airport and the main village of Turipaoa. 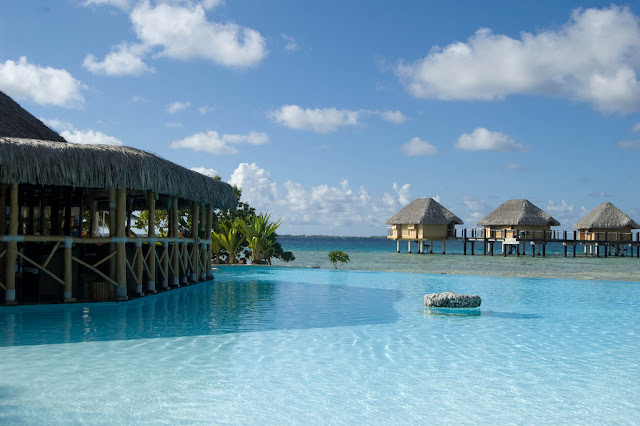 This well-known property features beach bungalows, each with a prime beachfront location and overwater bungalows built on the edge of the reef facing the famous lagoon. 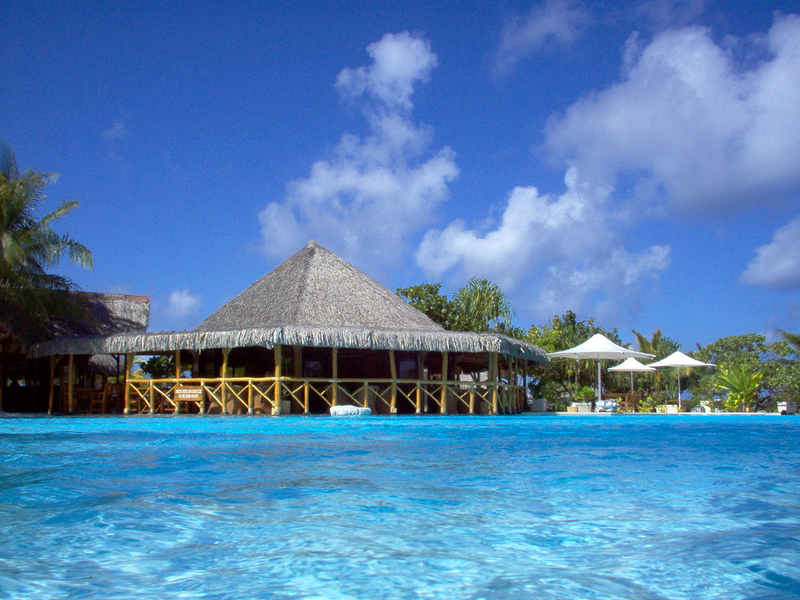 Pearl Beach Resort, Manihi, is a resort in love with and devoted to the sea and lagoon. 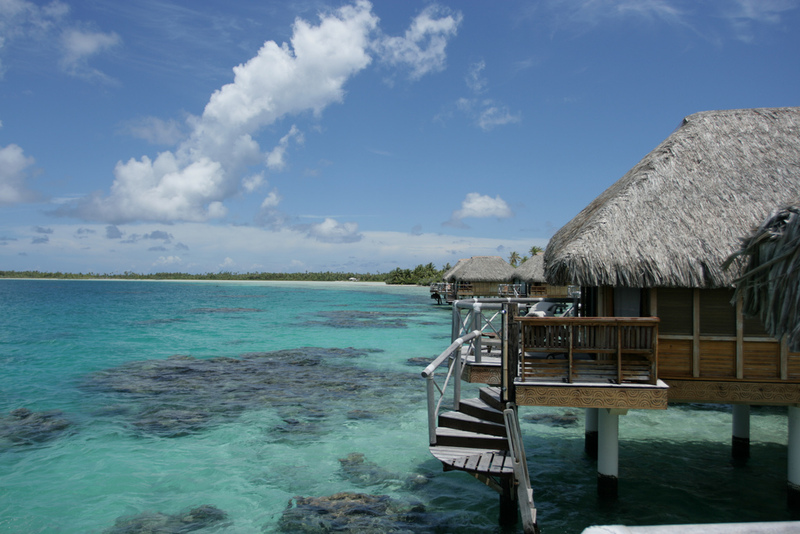 This enchanting resort is the only one on the island and features 19 deluxe overwater bungalows with glass coffee table views of the colorful lagoon coral and marine life below and 22 beachfront bungalows, each with a refrigerator, hair dryers, coffee/ tea making facilities, individual safes, sundecks and private facilities (showers). Activities are naturally centered around the lagoon and your hosts will arrange boat trips to show you around the lagoon, visiting the fish parks and pearl farms, with picnics on a motu and line or spear fishing. The lagoon is a springboard for a number of excursions which perfectly capture everything that Polynesia’s underwater flora and fauna have to offer.Manihi is a haven for scuba divers, and the resort is the center for most of the activities. 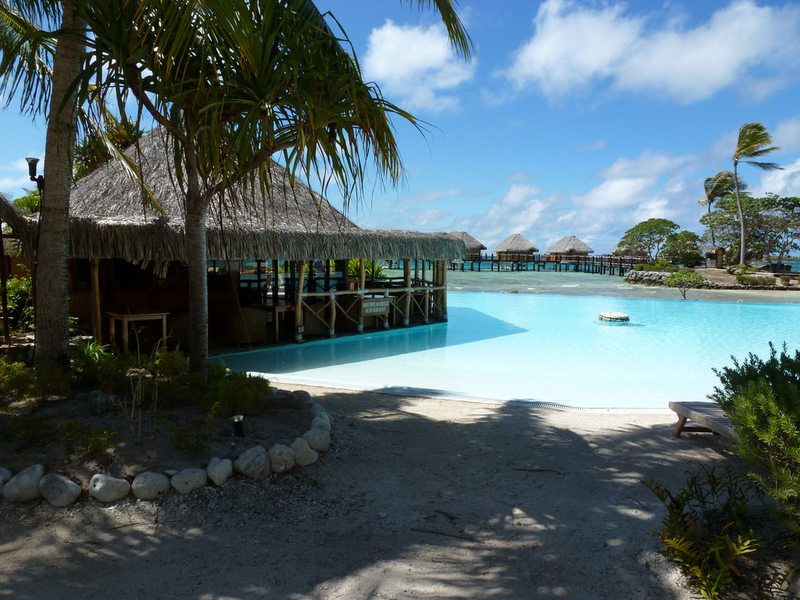 Besides the pearl farms, visitors enjoy exploring the lagoon and the main village of Turipaoa. There are few cars here so walking around the town square and along the coral paths is as peaceful and romantic as the lagoon itself.